See more objects with the tag digital, handheld, camera, personal device. This is a Camera. It is dated 1996 and we acquired it in 2017. Its medium is metal, molded plastic, glass, electronic components. It is a part of the Product Design and Decorative Arts department. 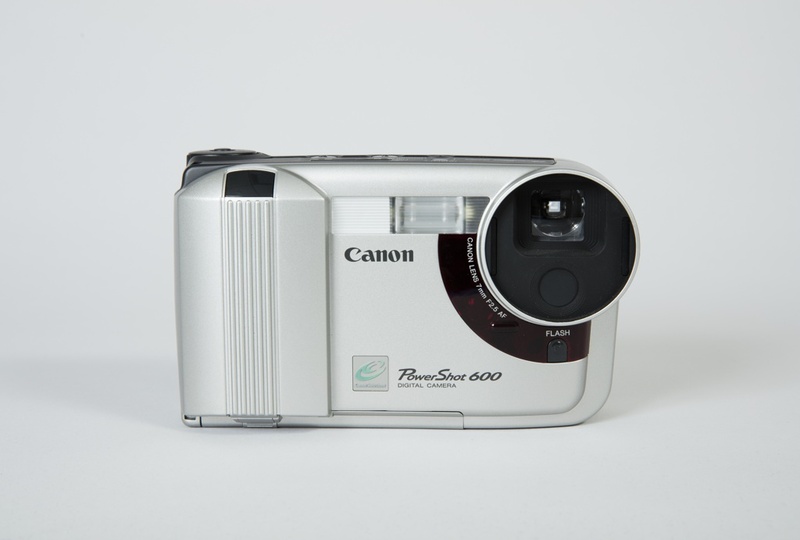 The release of the Canon PowerShot 600 in 1996 supported the rise of digital photography for amateurs and the growth of desktop publishing. The camera yielded high-resolution images that could be easily uploaded to a PC via a small docking station. Priced at $1,000, the camera was widely reviewed as the best quality and most affordable point-and-shoot on the market.